Last week, the Guardian posted a quiz about stage directions and naturally I thought I could do better. Ten stage directions, guess the play, no multiple choice but a clue. Some times the clues are more fun than the question itself. 1. “He picks up the tortoise and moves it a few inches as though it had strayed, on top of some loose papers, and admonishes it.” Clue: That should be easy enough. Additional help: the play premiered at the National Theatre in 1993. 2. 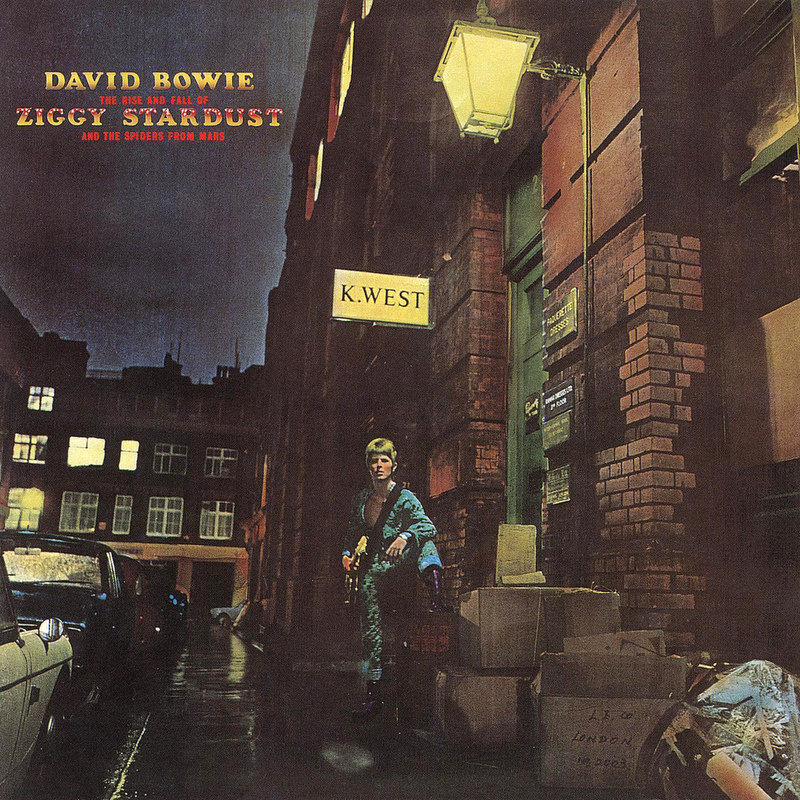 “He puts the stylus on the record: ‘Starman’ by David Bowie”. Clue: it’s the only play in the list currently performing in London. For an additional clue, look at the caption of the photo. 3. “A full bottle of wine is handed to James. He drinks half of it while the others cheer, but has to stop and take a breath. He staggers. Even Rachel stops her clearing-up to watch”. Clue: The play has been turned into a film, released in the UK in September. 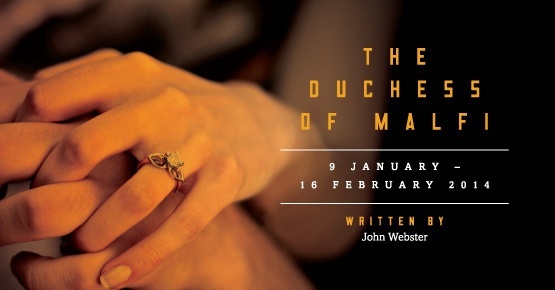 Tonight it’s the BBC4 broadcast of The Duchess of Malfi, as it was performed earlier in the year at the Sam Wanamaker playhouse – Shakespeare’s Globe. This is an important occasion, not least because there has been no Jacobean plays on tv since 1993 (more on the subject at John Wyver’s blog, and if you have the least bit of interest on how theatre translates into other media, you have to follow his writing). I found the production itself bloodless – figuratively, the luminous beauty of the setting didn’t always translate to the fever of the story and text. 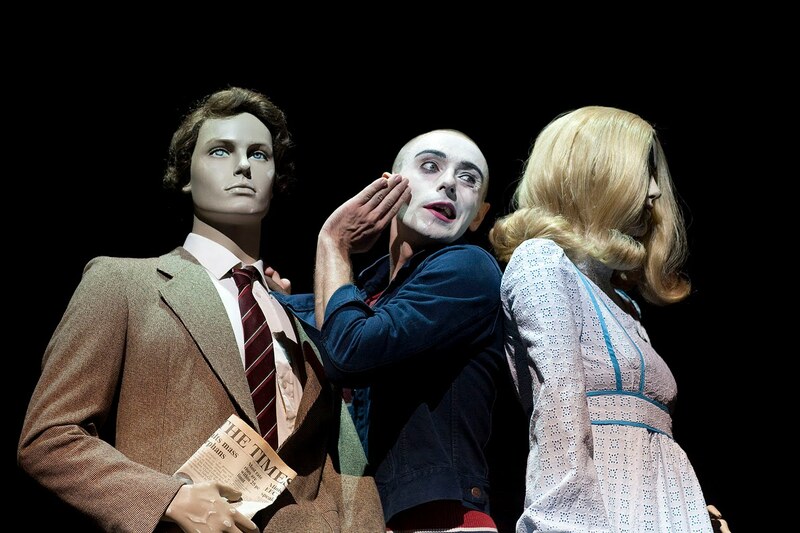 With one exception: David Dawson as Ferdinand, his soul twitching with forbidden desires while his face remained waxed in explosive immobility. What comes first, the play or the venue? John Webster’s The Duchess of Malfi, with Gemma Arterton in the lead, always had the making of a significant theatrical event, but as the first production in the new Sam Wanamaker Playhouse (the indoor jewel in the Globe’s crown), the focus is equally divided between play and theatrical space. Let’s briefly talk about the venue: The excitement of the new indoor theatre – part of the original Globe vision and several years in the making – shivers in the air and the space is predictably beautiful but surprising in other ways. I was somewhat unprepared for how small it was. Even to my untrained eye, the architecture is recognisably that of an Elizabethan theatre but everything is scaled down. The feel is that of a dollhouse. Not unpleasant but definitely unusual.